You need to be a member of Crystallon to add comments! I am a new user of Crystallon. I am facing issues with the Voxel Morph value component. 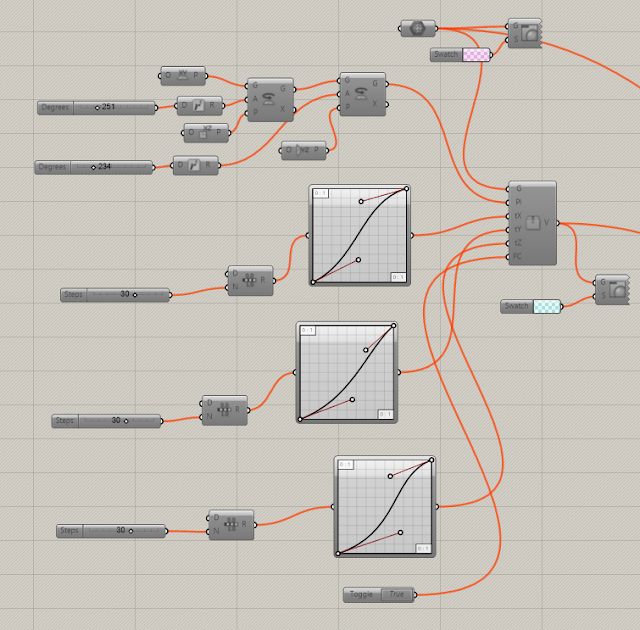 My intention is to densify the voxels towards a curve/Point. Could someone help me on it. Thank you all for your support on the Crystallon project! I have received a lot of great feedback so far. All the morphing between surfaces and meshes will now have a "t" input which allows you to use a graph mapper for non-linear divisions. I am working on getting this to work with x and y divisions on the surfaces. The voxelize component has this for all axis, and now has an input for base plane so you can change the orientation of the voxels. I have created and export module and will create in import module soon. Thank you for all the support and stay tuned for updates as they come.